Even though Apple iPhone owners that are using DiGi as their telco have received a new carrier update that unlocked the LTE settings for their phone last weekend, the telco’s name was not yet listed on Apple’s website. That has since changed though as we have now spotted DiGi’s name on the list. The telco’s name didn’t appear on iPad list, unfortunately. 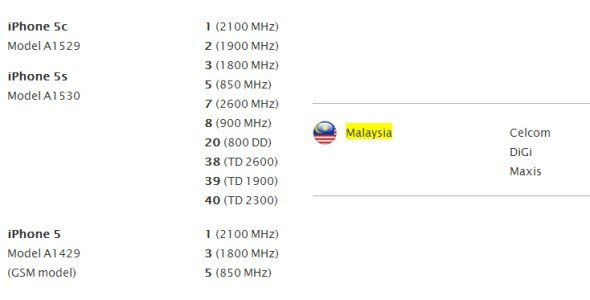 The list stated that DiGi LTE network is now supported on iPhone 5S, iPhone 5C and iPhone 5. This is rather interesting since that means DiGi is running its LTE on both 2600 MHz (for iPhone 5S/5C) and 1800 MHz (for the older iPhone 5) spectrums. So, is that means DiGi LTE is now officially available for iPhone? Well, that’s not seems to be the case though. Judging from majority of DiGi’s recent replies to customer’s questions on Twitter, the DiGi LTE is currently going through the final stages of testing and official announcement will be made soon. 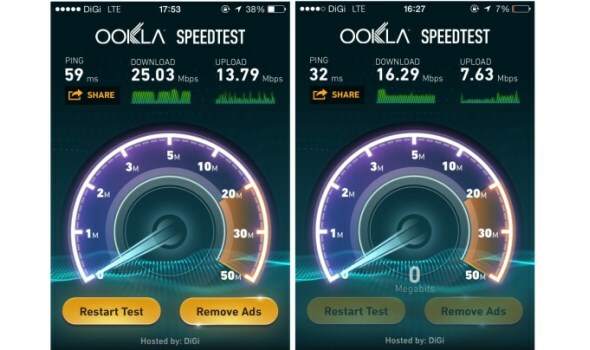 That being said, one of the commenter in the previous article has provided the screenshots below which showed the results of speed tests on DiGi LTE network. However, the person didn’t actually mention any details behind them such as test locations and test servers. DiGi LTE test results on iPhone as provided by Orang Kuning. Yup. Hence, to all iPhone users out there have already updated their devices and able to tap onto DiGi LTE service, do let us know how is the experience so far. Do share your speed test results in the comment section, if possible as well.